Although few foods cause instant death, there are some popular foods around the world that, if not prepared correctly, can kill. So, if you’re a fan of dangerous dining here’s a selection of some of the world’s most fearsome foods. Fugu, the Japanese word for blowfish, is a delicacy in Japan, with over 10,000 tons of the potentially lethal fish dish consumed every year. Most commonly served in wafer-thin slices as sashimi or as a fish broth called chirinabe, Fugu costs up to ¥16,000 (£125) per serving. Potentially lethal, if not prepared properly, the intestines, ovaries and liver of blowfish contain the poison tetrodotoxin, a toxin so dangerous that a dose the size of a pin head can kill you. Each fish contains enough tetrodotoxin to kill up to 30 people and as such restaurant preparation of the dish is strictly controlled by law. Only specially trained chefs are allowed to prepare Fugu, however domestic preparation cannot be so tightly controlled. According to the Tokyo Bureau of Social Welfare and Public Health there are between 20 to 44 incidents of Fugu poisoning every year. Symptoms include dizziness, headache, vomiting and exhaustion before victims eventually become paralysed and die from asphyxiation. Introduced from West Africa in the 18th century, the Ackee fruit is now the national fruit of Jamaica. Whilst being rich in essential fatty acids, vitamin A, zinc and protein; Ackee can be lethal if not properly prepared. 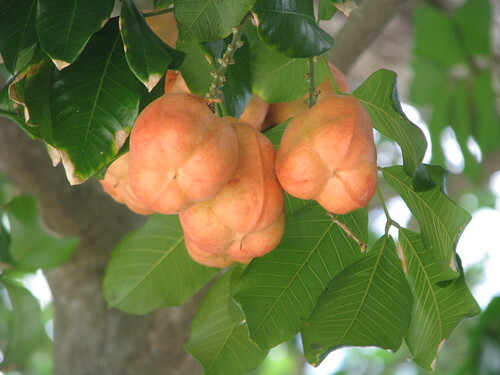 Unripe ackee contains a toxin called hypoglycin which causes a condition known as Jamaican Vomiting Sickness. Symptoms include vomiting, seizures, hypoglycaemia, coma and even death. Ackee is at its safest, and is traditionally harvested, when the fruit reaches maturity, turns red and splits open in the sun. Only the inner, fleshy yellow part of the fruit is consumed but before being eaten it must be thoroughly washed and boiled for about 30 minutes. This dangerous delicacy is traditionally enjoyed at breakfast or as an entree and is usually served with codfish. 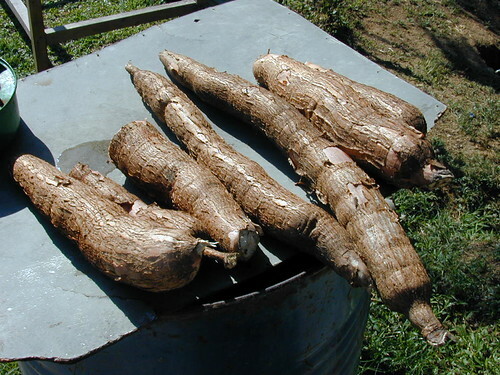 Cassava, a woody shrub native to South America, is probably better known to most of us as tapioca. It may be hard to believe, but this tasty pudding dish, can be deadly if not prepared correctly. Cassava roots and leaves actually contain cyanide, a highly toxic chemical compound. If not carefully prepared, some residual cyanide may remain which can cause acute cyanide intoxication. Those unlucky enough to be effected can expect to suffer weakness, shortness of breath, giddiness, headaches, vertigo, and confusion and, if not treated quickly, death. As well as being eaten in the form of tapioca, Cassava can also be soft-boiled, deep fried or puréed and eaten as dumplings, soups, stews and used in the place of potatoes. Think you’re safe from this possibly lethal ingredient? Think again! Tapioca is the main ingredient in the popular Prawn Cocktail flavour snack ‘Skips’. Whilst not toxic, like the dishes listed above, Sannakji can be potentially dangerous to diners for a completely different reason. 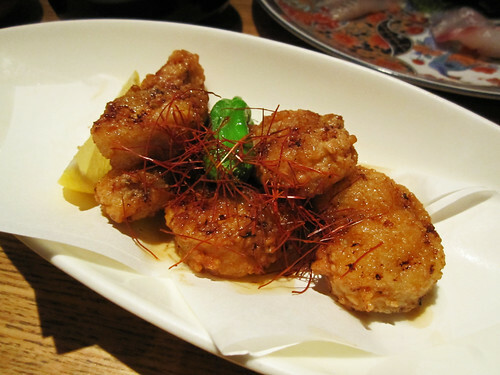 This unusual Korean cuisine consists of Nakji, a type of small octopus, which is cut into small pieces and seasoned with sesame oil before being and served – live! Good Nakji should always be served whilst the pieces of the octopus are still moving on the plate. As such diners must ensure that they chew every mouthful thoroughly to ensure the functioning suction cups do not stick to their throat whilst swallowing. It is believed around 6 people each year die as a result of choking whilst eating Sannakji. It is thought that the feeling of the wriggling pieces in one’s mouth because some people to swallow quickly, before properly chewing first. This article was produced on behalf of Hotel Club; where you can find perfect hotels in Manila to experience local cuisine.